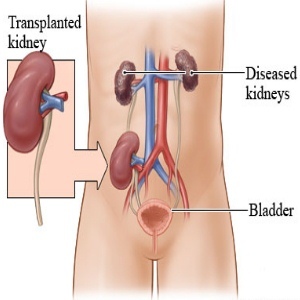 Kidney transplantation involves surgically attaching a functioning kidney, or graft, from a brain-dead organ donor (a cadaver transplant) or from a living donor, to a patient with ESRD. Living donors may be related or unrelated to the patient, but a related donor has a better chance of having a kidney that is a stronger biological “match” for the patient. 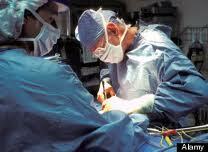 The surgical procedure to remove a kidney from a living donor is called a Nephrectomy. Laparoscopic Nephrectomy is a form of minimally-invasive surgery using instruments on long, narrow rods to view, cut, and remove the donor kidney. Kidney transplantation is performed on patients with chronic kidney failure, or end-stage renal disease (ESRD). ESRD occurs when a disease or disorder damages the kidneys so that they are no longer capable of adequately removing fluids and wastes from the body or of maintaining the proper level of certain kidney-regulated chemicals in the bloodstream. Without long-term dialysis or a kidney transplant, ESRD is fatal. Patients with a history of heart disease, lung disease, cancer, or hepatitis may not be suitable candidates for being a recipient or donor for a kidney transplant. Highly skilled team of Nephrologists and Urologists, most of them educated and trained abroad at leading hospitals and have gained valuable knowledge, skills and experience to deliver clinical outcomes at par with global standards. 1. Ultra Modern Laminar Air Flow Operation Theatres designed as per international standards with central supply and laminar airflow, stainless steel cladding, on walls and epoxy coating on floor for electro static and infection free environment for Kidney Transplantation. 3. Full range of Pathological services backed by world renowned hi tech investigative equipments for accurate & reliable results. 4. Hi Tech Intensive Care Unit – Infection free, laminar flow, 10 channel monitoring system to monitor patients 24 hours.